Do you need new tills for your store? Want to get them at a discounted price? Take a look at cheap tills for sale in the UK when you visit CCM EPoS. Here, at CCM EPoS, we specialise in supplying top of the range EPoS for companies in both retail and hospitality. EPoS systems can often be a costly expenditure, but with CCM EPoS, you will save money with the cheap UK tills we have for sale. From compact EPoS designs to the larger touch-screen computerised till system, our electronic tills will ease your sales process. Our UK tills for sale are designed to benefit retailers, caterers and restaurants alike. We understand that businesses like your own will undergo a significant amount of stress due to the continuous service you deliver. Customer satisfaction will be your highest priority, so you need to make sure that you have a till system that will improve your transactions and the flow of your business. For both the retail and hospitality industries, our tills are aimed at enhancing your business management with effective and innovative computer technology. Programming your software and individual services has never been easier. When you install our till systems, we will save you the hassle of updating every product and bit of information. With a simple interface, managing and updating your data is straightforward and on a real-time basis. Choose which programs you want integrated into your till system and enhance your profits with an EPoS that is customised to your needs. Some key features will include customised discounts, integrated chip and pin facilities, on screen prompts and bar tab controls. We pride ourselves in supplying the most innovative till systems at the best prices across the UK. Our cheap tills for sale are ideal for clients looking for a simple way to manage the business and profits. Each design is created for your particular environment so that you can give your customers the best service in your chosen industry. Whenever you need support, our consultancy team will ensure your systems are completely up to date and are operating at the highest level. 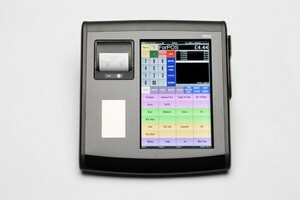 Find the best cheap tills for sale in the UK at CCM EPoS. If, after reading this article, you are interested in our services, then order with us today or contact us online.